We all have private conversations we want to keep, well, private! Whether it’s an embarrassing story, office gossip, or opening up about your feelings, the last thing you want is for someone to see your messages or have them used to serve you ads. Unless you’re using an encrypted messaging app, you’re leaving it all out in the open. There are many messaging apps on the market, but not all of them are as secure as they say. 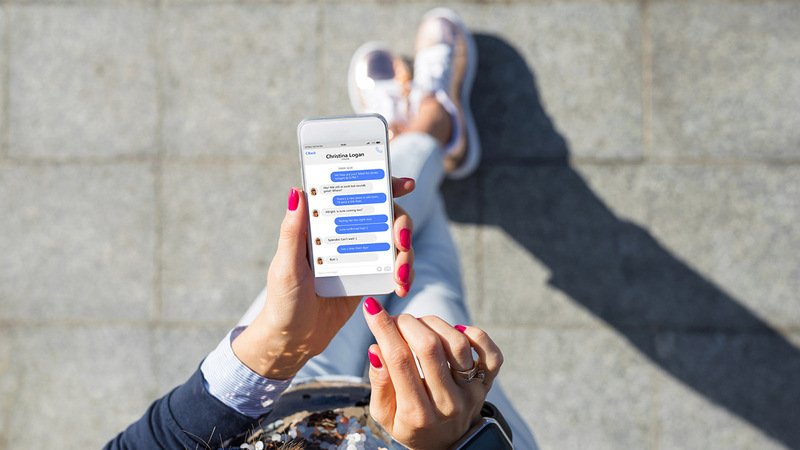 All of the apps on this list offer end-to-end encryption, which means that no one can see your ‘secret’ conversations unless they have a private key to decrypt your message. Most importantly, that means even the service provider can’t see your messages – not even abusive employees, hackers or government officials. However, their additional features – and shortcomings – are all different. We reviewed the pros and cons of 7 encrypted messaging apps and ranked them from the least to the most secure. 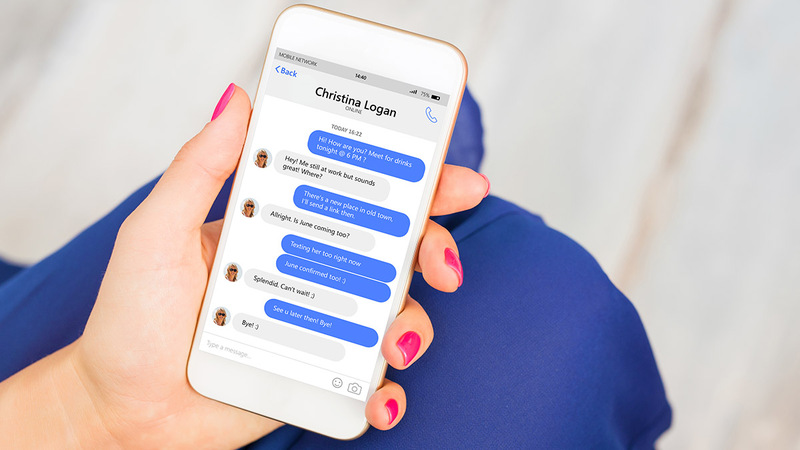 Billions of people use Facebook and its messaging services, but few know that their app offers end-to-end encryption. That’s because Facebook did a great job hiding the feature (to turn it on, go to Messenger and click on the ‘Create New Message’ icon on the upper left-hand corner. Then select ‘Secret’. This individual conversation will now be encrypted). It’s admirable that Facebook introduced this feature, but there are still many reasons why it’s at the bottom of our list. The social media giant still gathers data like who you text or how often you use the app. And let’s not forget that, in 2018, Facebook became infamous for its multiple data breaches. They’ve become hard to trust with your privacy! There’s no doubt that Apple products have a good reputation when it comes to cybersecurity. iPhone owners’ alternative to text messages – iMessage – has default end-to-end encryption. However, it still has a bunch of vulnerabilities and is far from the most secure messaging platform. Information like mobile numbers and contact lists is stored in plain text rather than hashes, as are timestamps and IP addresses. The app also fails to encrypt your metadata and any data synced to iCloud. If anyone hacks into your cloud, they will have backdoor access to your device. Over 100 million people use Telegram. It’s true that the platform is easy to use, offers many extra features, and isn’t obligated to give out any user information to intelligence agencies (as far as we know). However, Telegram isn’t as secure as it wants us to believe. First, it seems strange that such a security-oriented messaging app doesn’t have encryption turned on by default. Many people who use Telegram aren’t aware of this, which defeats the purpose of the app. The Telegram encryption protocol is also flawed. It was developed by an in-house team with little experience in crypto, which isn’t advised by cybersecurity experts. The app isn’t open source either, so the code hasn’t been audited by any third parties. The company also doesn’t provide any transparency reports. With over 1 billion users, Whatsapp is one of the most widely used messaging apps. It’s easy to use and offers features such as location and file sharing, gifs, and even desktop support. It also uses the powerful encryption protocol developed for Signal by Open Whisper Systems, which is considered the industry standard. The encryption features Perfect Forward Secrecy (PFS). This means that even if someone manages to somehow steal the key to your secret conversation, they will only be able to see the last message you’ve sent. Everything else will remain private. On the other hand, Whatsapp is owned by Facebook, which raises huge security concerns. Collecting users’ data is at the center of this social media giant’s business model and it failed to keep user data safe multiple times. Can we really trust Facebook, secure encryption notwithstanding? 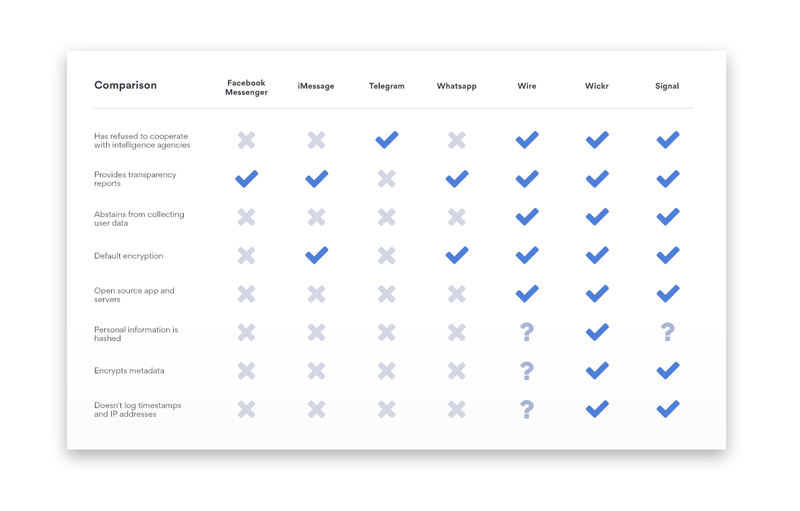 At first glance, Wire ticks all the boxes of a truly secure messaging app – it offers end-to-end encryption, complies with all European Union data and privacy laws, it’s open source, and it isn’t obligated to share its data with surveillance services. Plus, you can use it on most popular browsers like Firefox, Chrome, Safari and Opera. However, Wire does collect and store some user data. The creators of the app admitted to keeping records of who users contacted and, unfortunately, it’s all saved in plain text. They also store users’ emails, phone numbers and usernames. According to Wire, this information makes device synchronization easier and is deleted once the account is deactivated. This app is one of the best secure messaging apps on the market. It’s open source and doesn’t collect user data or metadata. It also offers a ‘shredder’ feature, which automatically deletes all conversations and files ever shared on the platform. You can set a timer for when to delete them. Most importantly, you don’t need a phone number or an email address to register, so it’s even easier to keep your life private. The only downside is that Wickr isn’t as popular as Signal(#1) or Telegram(#5). It was initially designed for businesses and enterprises, so it wasn’t as widely advertised to everyday users. Wickr still offers a paid Pro version where you can have encrypted group video calls, something no other app currently offers. If you are not an entrepreneur and want to use Wickr, you’ll need to convince your friends to move as well. Signal is the overall winner for both iOS and Android users. Signal created an encryption protocol that is now recognized as the most secure messaging app protocol out there. It offers everything most users need – SMS, video and voice calls, group chats, file sharing, disappearing messages, etc – without stuffing the app with ads and collecting user data. It’s also an open source platform so anyone can check it for vulnerabilities (though no one has discovered any yet). Even Edward Snowden, the (in)famous NSA whistleblower, endorsed this app. The only flaw we found is that you can’t use the app anonymously and need at least your phone number to register. However, we still think it’s the perfect choice for the average user.